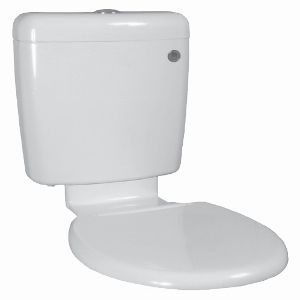 Are you looking for a replacement cistern, seat or link for your toilet? 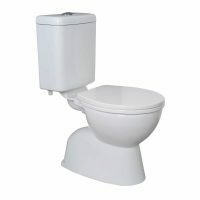 Before you head out to your nearest retailer, consider the Universal Plastic Cistern, Seat and Link. 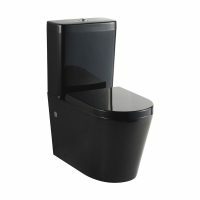 This combination unit fits most standard sized toilets and is extremely affordable as well. With slim design, the Universal Plastic Cistern, Seat and Link will do well to blend in seamlessly with most toilet suites. As a replacement, you’re probably looking for a quality unit that will last. You’ll appreciate the quality manufacturing of this unit. Moreover, this unit is robust and made with high quality materials so as to last you many years. The unit features large, easy push buttons and thanks to a flexible design and a customisable water inlet, the unit can be adjusted to meet specific requirements. The cistern is very water efficient with adjustable 6/3L dual flushes which is why it has been awarded a 4-star WELS rating. Don’t settle for a cheap replacement. 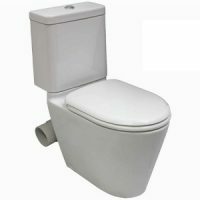 Buy the high quality Universal Plastic Cistern, Seat and Link from Ross’s Discount Home Centre in Perth. With a 14-day money back guarantee, there’s really no reason not to invest in this quality product today!